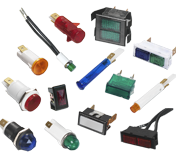 SOLICO has representatives and distributors throughout the United States, Canada, and Mexico. Please use the tools on this page to find a source for SOLICO products nearest you. Territory: New Hampshire, Maine and Vermont.